According to Lordahl, there is only one other example of the E1 (Ravensbruck Museum) and only one other (in bad condition) of E2 (private collection in the USA). This copy of E2 is reproduced in Newsletter no.2 p.2 (January 2002) and in the CD editions of Lordahl’s book. The double number in Lichtenburg is puzzling but it could be a consequence of the inmate having been in Moringen before coming to Lichtenburg (no.192 in Moringen and 889 in Lichtenburg). 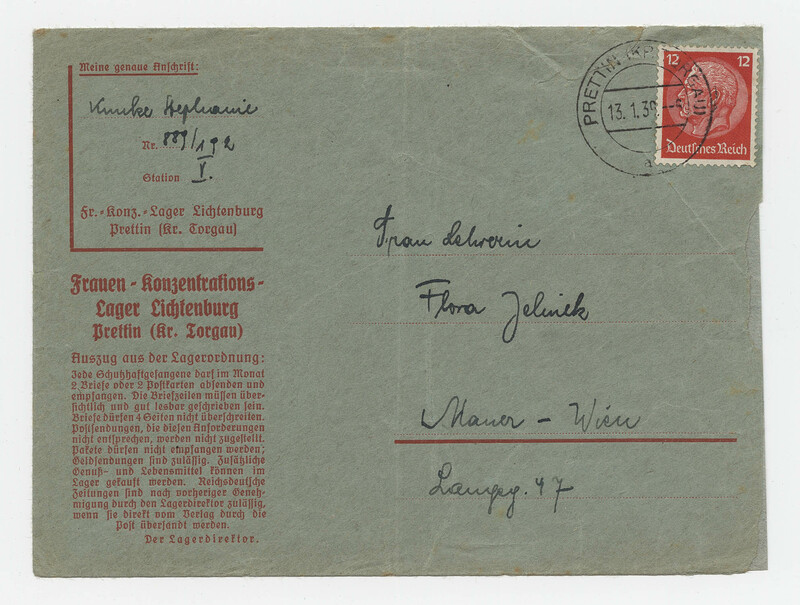 The inmates from Moringen were transferred to Lichtenburg at the beginning of 1938 and then went on to Ravensbruck in May 1939.